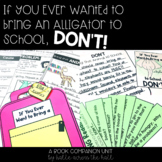 Back to school book: If you Ever Want to Bring an Alligator to School Don't!! 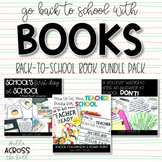 Super cute for younger grade levels as well as older elementary school students! 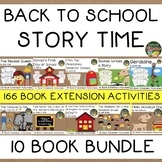 Includes two different writing prompt activities! 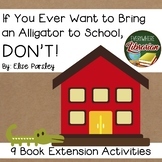 Back to School Activities "If You Ever Wanted to Bring An Alligator to School"
Read "If You Ever Want to Bring an Alligator to School, Don’t" by Elise Parsley and have your students write about the item they would bring to school for "Show and Tell!" Cause and Effect: If You Ever Want to Bring an Alligator to School, Don't! A quick cause and effect worksheet based on the darling book If You Ever Want to Bring an Alligator to School, Don't! 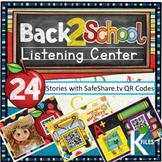 Perfect for small groups, quick checks, and independent work! 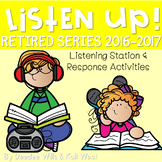 Check out my other worksheets for more resources like this one! 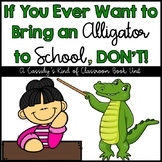 This worksheet pairs with the book If You Ever Want to Bring an Alligator to School, Don't! by Elise Parsley. The students can make connections to the book by writing/drawing what they would bring for show and tell. 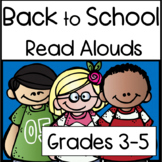 Back To School and More! First Week is Covered!